Predict. Prevent. Extend. 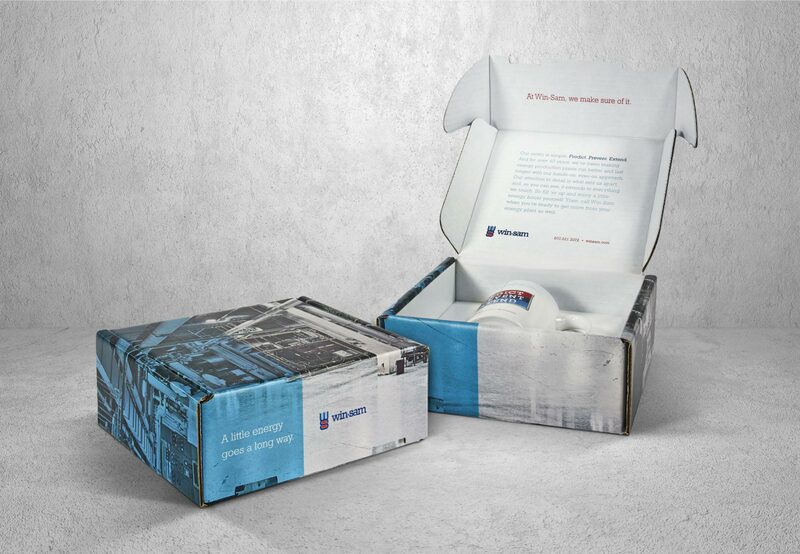 - Schaefer Advertising Co.
For over 40 years, Win-Sam has been making energy production plants run better and last longer. 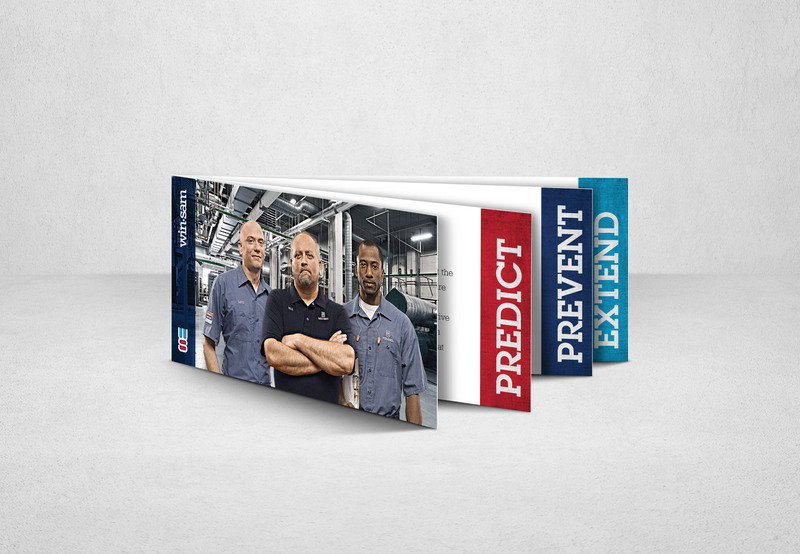 Their motto is simple: Predict, Prevent, Extend. 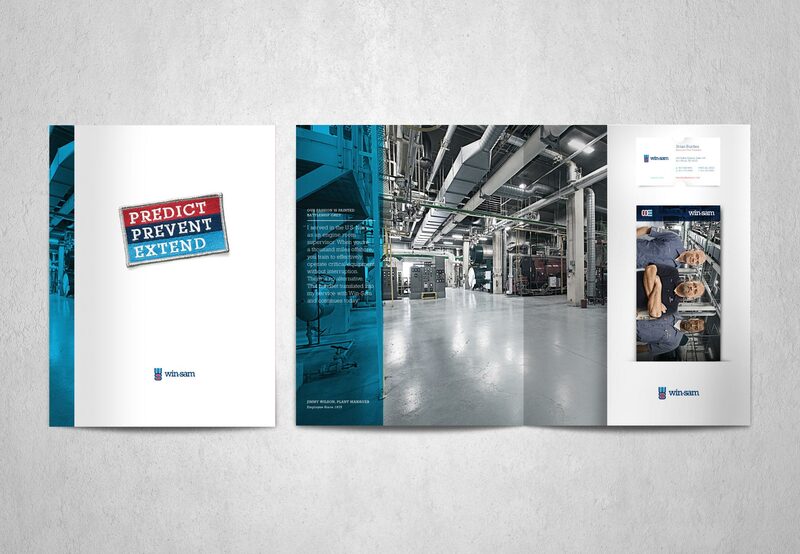 Through extensive predictive and preventive maintenance strategies, they can increase operational efficiency and extend the life of your equipment. 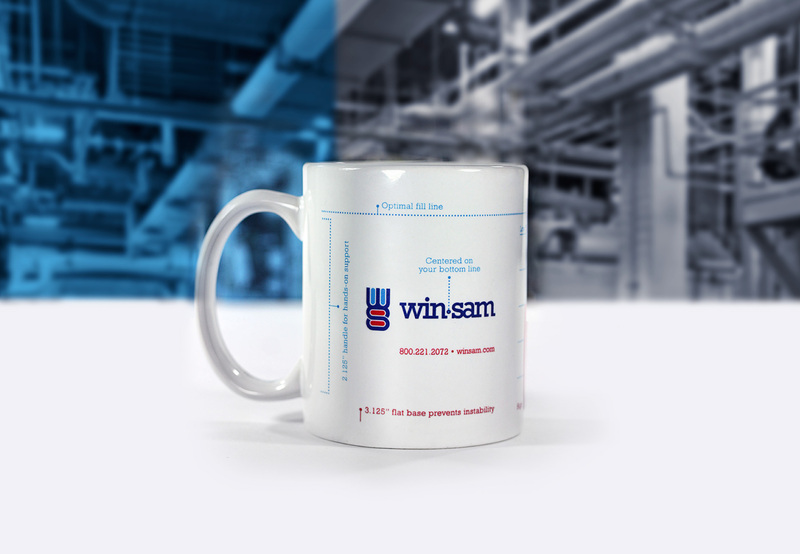 Since a lot of Win-Sam employees are former Navy men, we went with a military style logo for their rebrand. This insight, combined with the industrial look of their everyday work environment, helped establish a look that we carried out through several pieces. Each of these pieces conveys the strong, roll-up-their-sleeves kind of work ethic that makes Win-Sam so valuable to their clients.